While you’re scouring for flight deals and planning your year of travel, we thought we’d give you some inspiration in the meantime. 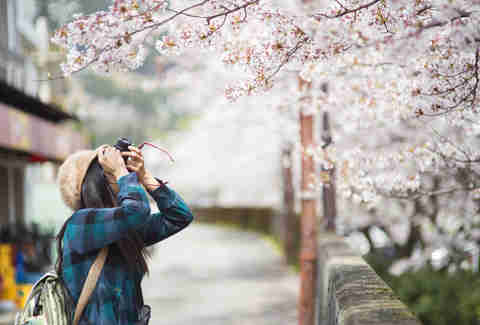 ‘Cuz you travel for new experiences and memories, right? 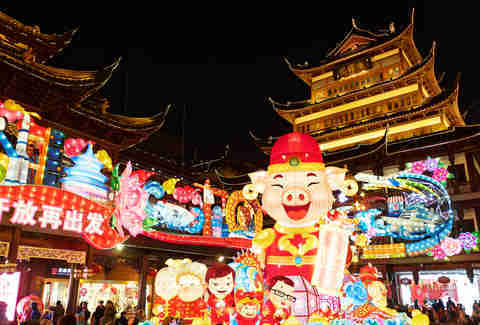 From dancing in the streets of southern Italy, to filling the Shanghai skyline with paper lanterns, fuel your wanderlust with these can’t-miss parties, holidays, and festivals around the globe. 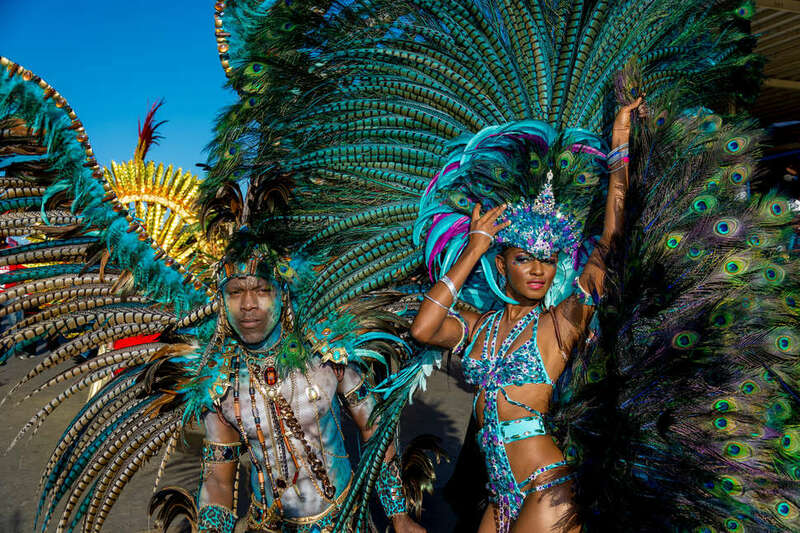 Feathers, sequins, and bare skin dominate Trinidad and Tobago insanely fun tradition, Carnival. “Carnival to me represents the spirit of Trinidad,” says John Georges, master distiller of Trinidad and Tobago’s Angostura Rum. “The run-up to the two days of street parades (Carnival Monday and Tuesday), is like a crescendo that starts after Christmas.” From lively steel band and soca music, to endless parties, shows, and dazzling costumes, revelers and attendees alike spill into the streets for the country’s largest energetic, downright electric street festivals. Don’t travel to Thailand during mid-April unless you’re ready to get drenched in water by strangers. “Have you seen The Purge? 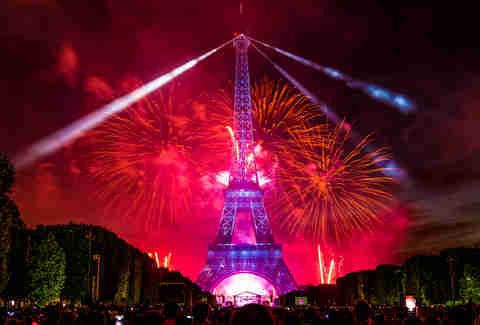 It's something like that,” says Bangkok-based blogger Chris Schalkx. 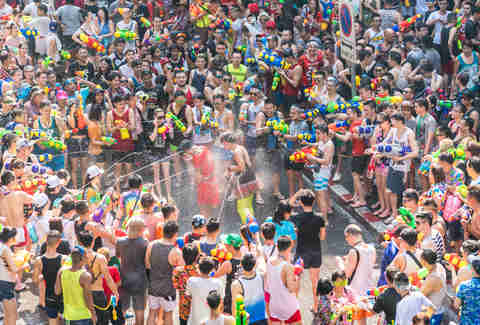 “The streets are eerily empty because half of Bangkok is on holiday, and around every corner lurks a potential water gun fight.” The water festival, one of Thailand’s most important holidays, marks the Thai New Year, and means “to pass” or “move on.” The deluge of water? An act of cleansing or blessing, symbolizing longevity and good health. Be sure to pack your electronics up in a plastic, waterproof case. “Tourist hotspots like Silom, Khao San Road and Central World in Bangkok; the Old Town in Chiang Mai, and Patong in Phuket are wild -- there is no way you leave those places with dry clothes,” says Schalkx. Any time is a perfect time to visit Lisbon, Portugal. The city is one of the world’s most charming, with pastel buildings gleaming with ornate tiles, excellent food, and dreamy seaside location. Come June 13, the city’s residents come out in droves for Festas dos Santos Populares, or the “Popular Saints Festival.” Celebrating the feast days of Saint Peter, Saint John and most importantly, Saint Anthony (Lisbon’s patron saint), “the whole city of Lisbon is outside eating sardines and dancing,” says Miguel Andrade, a Lisbon-based journalist and consultant. 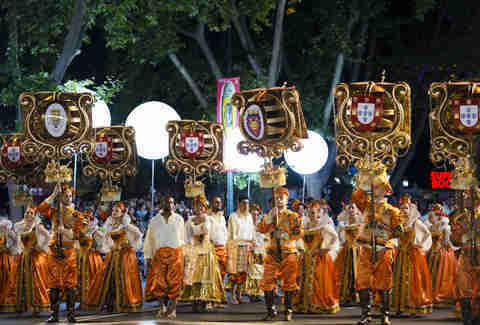 The mid-summer festivities of parades and feasting continues for 14 days. At this point, Burning Man isn’t a secret anymore, or relegated to any one type of person. International attendees of all creeds descend on Black Rock Desert, Nevada in August for this week of dusty, costumed anarchy. This year’s theme is Metamorphoses, so get out there and dive into the transformative experience. 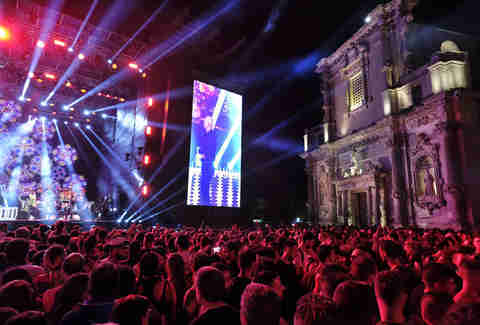 The tarantula is responsible for bringing more than 100,000 people to one of southern Italy’s best parties, La Notte della Taranta, or Night of the Tarantula. “It’s not extravagant as Burning Man but the story behind it is cool,” says Vito Palumbo, brand ambassador for Puglia’s Tormaresca winery. “Taranta is a dance to get rid of the poison of a bite of a spider, according to legend.” The traditional festival takes over the lower portion of Italy’s boot, with different locations throughout summer -- Salento, Soleto, Zollino -- before concluding in a final party in Melpignano, overrun with street food, crafts, drinking, and, of course, dancing. South Dakota may not have crossed your mind as a bucket list destination, but it’s home to one of the most American phenomenons you can ever witness. 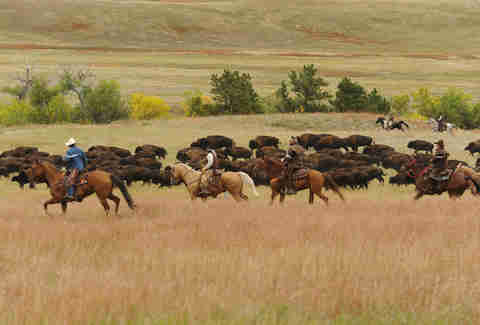 On the last Friday in September, visitors gather to watch some 1,300 buffalo storm through western South Dakota’s Black Hills. If you can’t make it in person, follow the action on social media via the hashtag #BuffaloRoundup. Along the shores of Lake Malawi, celebrate the diversity and joy of African and international music and arts at the Lake of Stars festival. 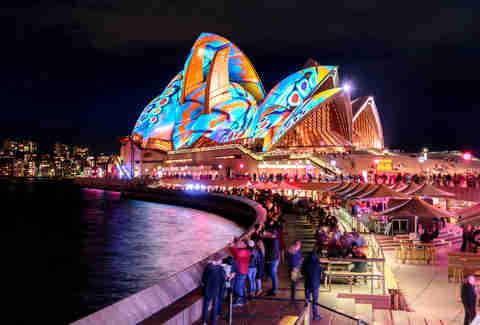 Over three days -- not yet announced for 2019 -- 60-plus global artists (like Major Lazer and Kenyan group Sauti Sol) take the stage, while sunrise yoga, a smattering of panel discussions, traditional dance, art and fashion shows are available for attendees. At the end of October, millions of Mexicans have death on their minds, but in a good way. “Good love and good death, there is no better luck,” as the Día de los Muertos, or Day of the Dead, saying goes. “I think it’s amazing because we don’t remember our dead with sadness, instead we celebrate them with great memories,” says Mike Prado, national brand ambassador for Ancho Reyes liqueur. “People celebrate with their best mezcals, and also make some special batches for those days.” Oaxaca is one of the best places to take in the magic of Día de los Muertos. You can watch the many comparsas, or parades, comb the streets. 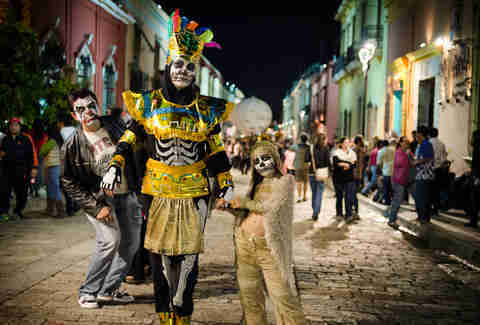 “There are a lot of them happening at the same time, with costumes, traditional art, mezcal and a big music band,” says Prado. On the day of the New York City Marathon, all tired stereotypes of the city’s denizens gets wiped out by the overwhelming positivity surrounding the event. “The city shuts down for the marathon, so it’s pretty special,” says celebrity trainer and New York City Marathon runner Joe Holder. “It comes alive with the idea of striving towards a goal as thousands take the street to pursue a goal.” Thousands show up to cheer on runners in the world’s largest marathon, which attracts more than 50,000 competitors annually. “I think NYC is special 365 days a year! 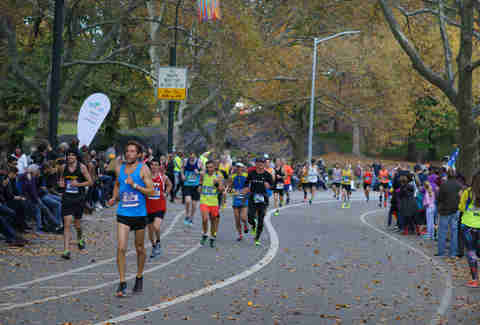 But the marathon is great because it’s the rare time all New Yorkers are rooting for each other,” says author Aaron Goldfarb, whose apartment is located along the marathon route. Karlsruhe, dubbed the gateway to the Black Forest, transforms into Christmas City beaming with 160,000 lights, 110 decorated stalls selling snacks and crafts, Santa Claus walking along tightropes, and a 55-foot-tall mulled wine Christmas pyramid. 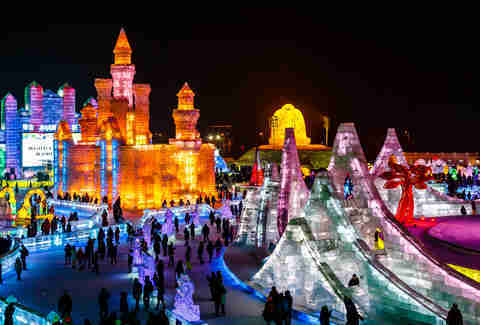 Honor the pyramid while drinking mulled wine yourself, and try local specialties like boiled smoked pork and cabbage, and Dambedei, a human-shaped pastry. Natalie B. Compton is a Thrillist contributor.